Oil your locks and save some money! The main advice I always give to customers when I visit their property for a repair is to make sure they oil the hardware on their doors and windows at least once a year. So many times I've been called out because a door or window is difficult to lock and the only thing wrong is that the locking mechanism hasn't been oiled, either for a long time or sometimes ever! When either a door or window mechanism is completely dry it can cause small breakages such as a snapped window handle (see pictures) or a much more expensive failed gearbox to a door locking mechanism. Oiling also protects from corrosion caused by the damp, salty air we get near the coast. 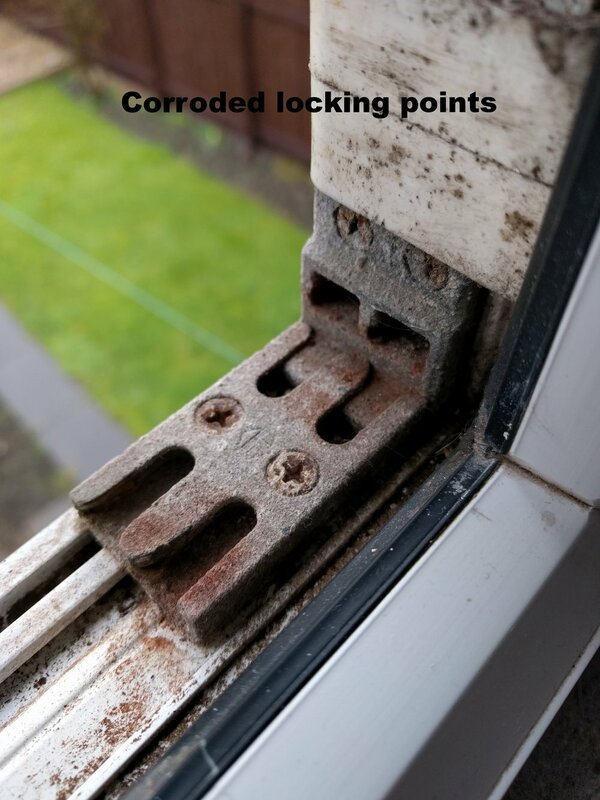 It's not a difficult job to oil your locks, just use WD40 or similar and spray the metal strip along the opening edge of your door or window, and if possible spray into the housing containing any pop out bolts or hooks. Also spray the metal parts attached to the door or window frame to protect them from the weather.